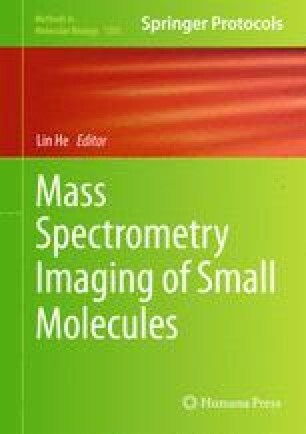 Time-of-flight secondary ion mass spectrometry (ToF-SIMS) is an emerging technique for the characterization of biological systems. With the development of novel ion sources such as cluster ion beams, ionization efficiency has been increased, allowing for greater amounts of information to be obtained from the sample of interest. This enables the plotting of the distribution of chemical compounds against position with submicrometer resolution, yielding a chemical map of the material. In addition, by combining imaging with molecular depth profiling, a complete 3-dimensional rendering of the object is possible. The study of single biological cells presents significant challenges due to the fundamental complexity associated with any biological material. Sample preparation is of critical importance in controlling this complexity, owing to the fragile nature of biological cells and to the need to characterize them in their native state, free of chemical or physical changes. Here, we describe the four most widely used sample preparation methods for cellular imaging using ToF-SIMS, and provide guidance for data collection and analysis procedures. This project was supported by grants from the National Center for Research Resources (5P41RR031461) and the National Institute of General Medical Sciences (8 P41 GM103391) from the National Institutes of Health. In addition, infrastructure support from the National Science Foundation under grant number CHE-0908226 and by the Division of Chemical Sciences at the Department of Energy grant number DE-FG02-06ER15803 is acknowledged.